Jazz saxophonist and composer John Kocur is captivating new audiences by putting an adventurous yet accessible spin on a classic tradition. 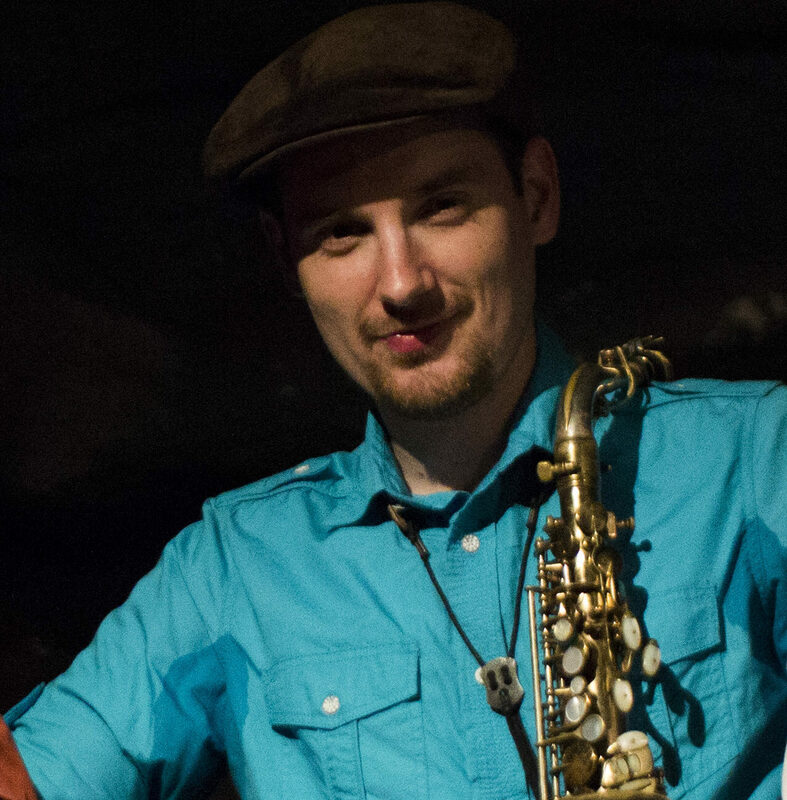 Kocur’s compositions have been described as “mainly straight-ahead and clearly influenced by the playing of past masters such as Johnny Hodges and Cannonball Adderley, but they are not simply derivative. The ballads in particular display a maturity in writing and playing” (Bruce Lindsay, All About Jazz). While highlighting original music, the group also creates unique interpretations of popular American songs from past and present. The group’s style is an intimate, all-acoustic format, where the music takes center stage. Recent performances by the John Kocur Quartet have included venues such as Bohemian Caverns, Blues Alley, Kennedy Center Millennium Stage, the DC Jazz Festival, Twins Jazz, and the Phillips Collection. 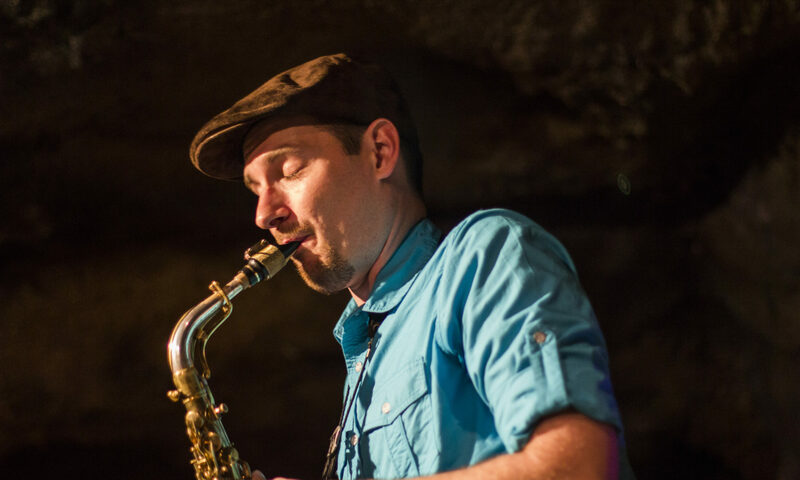 Recently, John has explored the connections between jazz and other musical and artistic genres. He presented “Jazz Meets Irish Music” at the 2016 INTERSECTIONS festival at the Atlas Performing Arts Center in Washington, DC in collaboration with traditional Irish musicians Shannon Dunne and Sean McComiskey. He previously presented “Jazz Meets Bluegrass” at the 2014 INTERSECTIONS festival and at Strathmore’s “Unusual pAIRings”concert series. In 2013, Kocur released his sophomore recording, entitled “Fortitude.” The album features inspiring original melodies based around the theme of “strength in the face of adversity.” “Fortitude” and Kocur’s WAMMIE-nominated debut album, “The Smoker” are both available for sale at performances and online at retailers such as iTunes, CDBaby, and Amazon.com. In 2010, John was selected for the Betty Carter Jazz Ahead residency program at the John F. Kennedy Center, where he worked with jazz legends such as Curtis Fuller, Dr. Billy Taylor, Carmen Lundy, George Cables, and Winard Harper. In 2008, John was one of six musicians selected as an Artist-In-Residence at the Strathmore Performing Arts Center in Bethesda, MD, through which he presented a series of solo concerts and lectures. John fell in love with the possibilities of the saxophone at the age of 10 while performing in the school band program in Medford, NY. After studying music at the university level, John embarked on a full-time career in music performance and education. In addition to leading his own group, John has performed as a sideman with the international touring acts such as Jamie Cullum and Joe Piscipo. In the Washington, D.C. area he has particiapted in the Bohemian Caverns Jazz Orchestra, Thad Wilson Jazz Orchestra, Capital Focus Jazz Band, and the Too Damn Big Orchestra. In addition, he frequently collaborates with musicians in other genres, playing with progressive hip-hop artist Christylez Bacon and bluegrass duo Herb and Hanson. John has proudly performed overseas at the Jazz Ascona Festival in Switzerland and the first annual Nagano Jazz Festival in Japan. Throughout his career, he has shared the stage with legendary jazz artists such as Benny Golson, Fred Wesley, Jimmie Owens, Freddie Redd, and Buck Hill. As an educator, John has given workshops and lectures at universities and high schools. He currently teaches jazz, music history, and music appreciation at Northern Virginia Community College(NOVA) in Alexandria, VA. He is both founder and director of the NOVA Alexandria Jazz Ensemble (Alexandria Campus) and the Sterling Sound Jazz Ensemble (Loudoun Campus). He has presented educational workshops on the music of jazz masters such as Cannonball Adderley, Charlie Parker, and Miles Davis. He also works closely with public schools to present clinics on jazz ensemble style and improvisation. John continues to be grateful for the instruction and inspiration offered by his teachers: Dale Underwood, James Carroll, Charlie Young III, and Dr. Sais Kamalidiin. John holds a Bachelor’s Degree in Music Education from George Mason University and a Master of Music Degree in Jazz Studies from Howard University. John is currently a member of the DC Federation of Musicians Local 161-710 and the Washington Area Music Association.